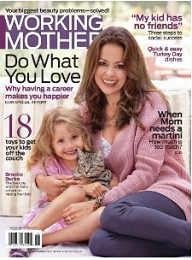 Get a FREE Subscription to Working Mother Magazine! To get the free magazine fill out the form, If by chance you have a white screen, click “show all content” at the bottom of your page. On the next screen just select “NO” to all of those offers if you would like and then you will be all set. You can also get FREE Magazine Subscriptions Of Your Choice Here! Thank you I enjoy this magazine and the coupons too.